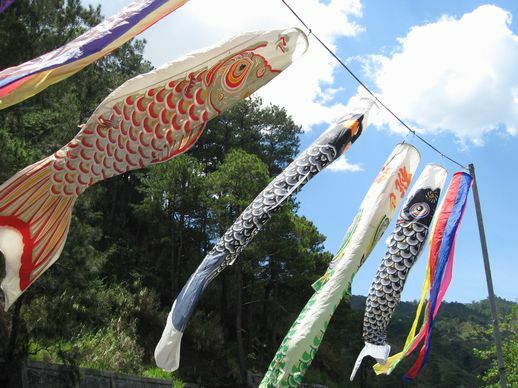 Koinobori (Carp Streamers) Paper Craft making and the Picnic. for your children from 10:00am to 12:00 noon, to celebrate the Children's Day !! - CRAYON or any other Painting material. - and, bring Koinobori home !! About the Children’s Day(Tango no Sekku) & Koinobori in Japan, please refer to the following web site as a reference.